Plot Summary:Beastly is a 2011 fantasy romance film based on Alex Flinn's 2007 novel of the same name. It is a retelling of the fairytale Beauty and the Beast set in modern-day New York City. The film is written and directed by Daniel Barnz and stars Vanessa Hudgens, Alex Pettyfer, Mary Kate Olsen, Neil Patrick Harris and Lisa Gay Hamilton. The plot focuses on Kyle Kingson, a handsome man with an evil streak, who disrespects a classmate, who is a witch in disguise, during an environmental event. The witch then casts a spell on Kyle and physically transforms him into a grotesque monster. It was expected to be distributed to theaters by CBS Films and Alliance Films on July 30, 2010. It was, however, moved to March 18, 2011, in order to avoid Hudgens's film from clashing with the release of Zac Efron's film Charlie St. Cloud, but in January 2011, it was bumped up to March 4, 2011 (Beastly (film)). Writers: Daniel Barnz (screenplay), Alex Flinn (novel)Cast: Alex Pettyfer, Vanessa Hudgens and Mary-Kate Olsen (IMDB). Accomplishments: 2011 ShoWest stars of tomorrow - Vanessa Hudgens, Alex Pettyfer; Ranked #45 in The Times' 50 Biggest Movies Of 2010 (Beastly (film)). Film Review: “Beastly” is an edgy teen romance about learning how to see past false surfaces to discover true inner beauty. Yes, another take on Beauty and The Beast. Kyle Kingson (Alex Pettyfer) has it all – looks, intelligence, wealth and opportunity – and a wicked cruel streak. Prone to mocking and humiliating “aggressively unattractive” classmates, he zeroes in on Goth classmate Kendra (Mary Kate Olsen), inviting her to the school’s extravagant environmental bash. Kendra accepts, and, true to form, Kyle blows her off in a particularly savage fashion. She retaliates by casting a spell that physically transforms him into everything he despises. Enraged by his horrible and unrecognizable appearance he confronts Kendra and learns that the only solution to the curse is to find someone that will love him as he is – a task he considers impossible. Repulsed by his appearance, Kyle’s callous father (Peter Krause) banishes him to Brooklyn with a sympathetic housekeeper (Lisa Gay Hamilton) and blind tutor (Neil Patrick Harris). As Kyle ponders how to overcome the curse and get his old life back, he chances upon a drug addict in the act of killing a threatening dealer. Seizing the opportunity, Kyle promises the addict freedom and safety for his daughter Lindy (Vanessa Hudgens) if she will consent to live in Kyle’s Brooklyn home. 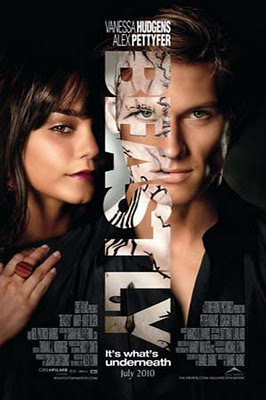 Thus begins Kyle’s journey to discover true love in this hyper-modern retelling of the classic “Beauty and the Beast” story (Beastly 2010 with Vanessa Hudgens and Alex Pettyfer). "Everyone knows that social trauma is unpleasant, but people are often blind to the full severity of these experiences and therefore don’t do enough to protect or intervene when victims suffer" said study leader Loran Nordgren, assistant professor of management and organizations. "News stories in recent months centered around bully victims who took their own lives out of desperation and fear, whether harassed physically in school, or emotionally via text message, online or through social networks. Only by having a heightened sense of empathy to victims’ true suffering can we begin to pave the way for reform and new policies" (’Beastly’ Shows Bullies Can Be Formed By Parental Attitudes And Lack Of Empathy By Danielle Faczan).